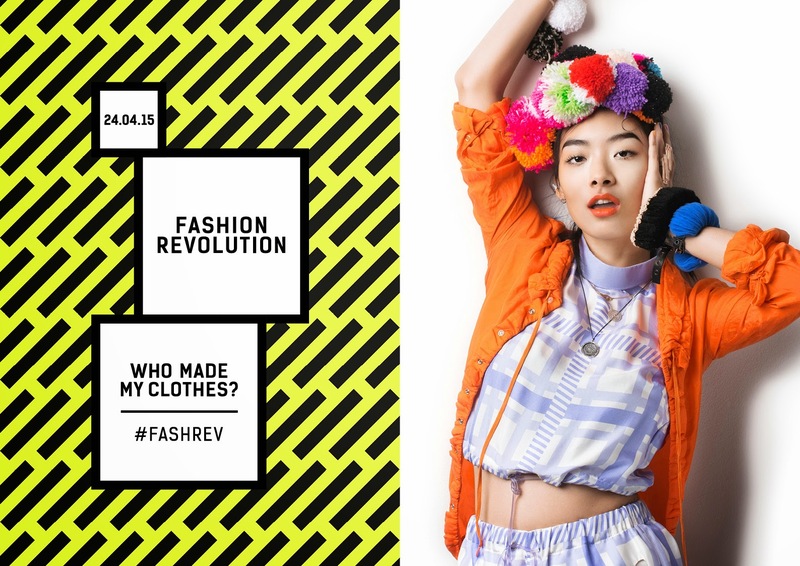 Tomorrow is Fashion Revolution Day, and it's time once again for us to ask #whomademyclothes? It's hard to believe that it's already been 2 years since the tragedy at the Rana Plaza factory in Bangladesh claimed the lives of 1,133 people and injured over 2,500 more. Now in it's second year, Fashion Revolution Day commemorates this devastation and helps us to demand a different way of producing clothes by asking clothing brands #whomademyclothes? 1. Take a selfie showing your clothes label. You could turn your clothes inside out to make more of a statement. 2. Follow that brand on social media. 3. Upload your photo on social media with this message: “I want to thank the people who made my clothes, @brand #whomademyclothes?" 4. Help make our message louder. Nominate 3 friends to do the same. If you're in Sydney, come down to Sydney University tomorrow (Friday 24 April) between 12 and 2.30pm for an epic clothes swap - I'll be there and bringing some gorgeous frocks that are in desperate need of a new home. The clothes swap will start at 12:30pm at the Eastern Ave Foyer (near Eastern Ave Auditorium). Feel free to drop your clothes off any time after 12pm and you can come and go until 2:30pm. There are other activities and events taking place across Australia today and tomorrow (and 67 other countries around the world!) - check out the website for details. Garment manufacturing the world's 3rd largest industry, behind automobiles and electronics, and employs hundreds of millions of people from farm to final product. Yet the people working in these roles remain largely invisible, the result of deep supply chains and a lack of transparency from textile and clothing manufacturers. And while some agreements and accords have been drafted by the likes of the European Commission and the Fair Trade Advocacy office, much remains to be done to guarantee labour rights and a safe working environment for people employed in the global garment industry. In Australia, last week's release of the 2015 Fashion Report by World Baptist Aid showed us that 9 out of 10 companies supplying clothes to Australia do not know where their cotton originates, and most fail to pay their overseas workers a living wage (you can read more in this article about how your favourite Australian brands ranked). When 90% of clothing being sold to Australians is untraceable, action is demanded. And with the support of the global Fashion Revolution campaign, making a real difference seems more attainable than ever. So get out that smart phone, take a selfie (maybe holding a sign from Fashion Revolution!) 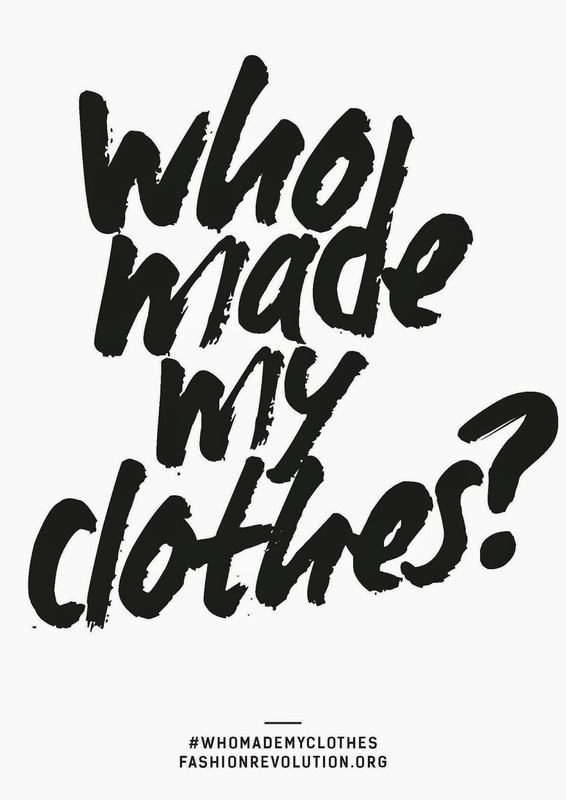 and ask your favourite brands #whomademyclothes? I'd love to know if you hear back from your brand!